My friend Paula has followed a gluten free diet for many years. A fearlessly experimental cook, Paula is continually trying this and tweaking that to improve and refine what she prepares. She generously shares ideas, references, recipes, ingredients and her end products, so spending 3 quality months on the road with Paula gave me the opportunity to watch, listen and learn so I could expand my own gluten free repertoire, and improve my end results. She baked scones, cakes and cookies, puddings and pasta dishes. Together one night we even used the camp oven to cook pizza. It was all gluten free, it was all delicious, and some was so good, it was comparable to food made with wheat. Paula baked a batch of Amaretti in her caravan oven almost every week we were away, beating the egg whites by hand with a balloon whisk. 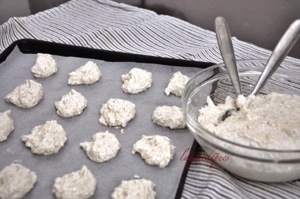 They were delicious, much better than any commercial product I have ever tasted so I thought (with her permission) I would share her recipe here. I prefer the flavour of almond meal made with unblanched almonds, so I process whole raw nuts to a fine meal in my reliable workhorse, an old Magimix processor. Preheat the oven to 160C. Line two oven trays with baking paper. Whisk the egg white to soft peaks. 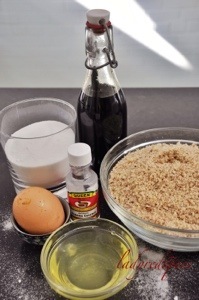 Gradually add the castor sugar a tablespoon at a time. Continue beating into a stiff meringue. Add the essences and incorporate thoroughly. 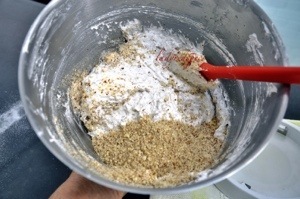 Using a metal spoon stir in the almond meal one cupful at a time. Drop dessert spoonfuls of the mixture onto the lined baking trays, allowing a little room to spread. Bake for 20-30 minutes or until golden. Allow to rest for 5 minutes then transfer to a wire rack to cool. Store in an airtight container. Yes, it would suit your moda Italia! 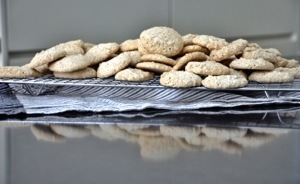 Amaretti are one of my favourite cookies! Well, let’s say favourite Italian cookies because I just love cookies in general. These look perfect and crisp. I do have a weak spot for the soft chewy ones. Oh man, if I get a hold of a box of those, I will eat the entire box. No joke! So little ingredients… I’ve just got to try them! Thanks Sandra. This is wonderful. We’ve all seen the explosion of GF items in our markets but, at the same time, there’s been a gigantic increase in the variety of recipes coming from the home. 10 years ago there was virtually nothing and look what’s happening today. GF amaretti? Bring ’em on! Thanks John! I am in the process of preparing a post to appear in a couple of weeks about sweet treats that have been made in Aussie homes that ARE and have always been gluten free, before anyone demanded gluten free. I’m sure there are just as many traditional Italian recipes, like Amaretti that fall into this category. It’s commercial manufacturing that has messed with tried and true formulas to turn out products that are cheap to make, robust to package and forever fresh. Thanks Stephane. They taste delicious too. Sweet bombs of toasty almond crispness! 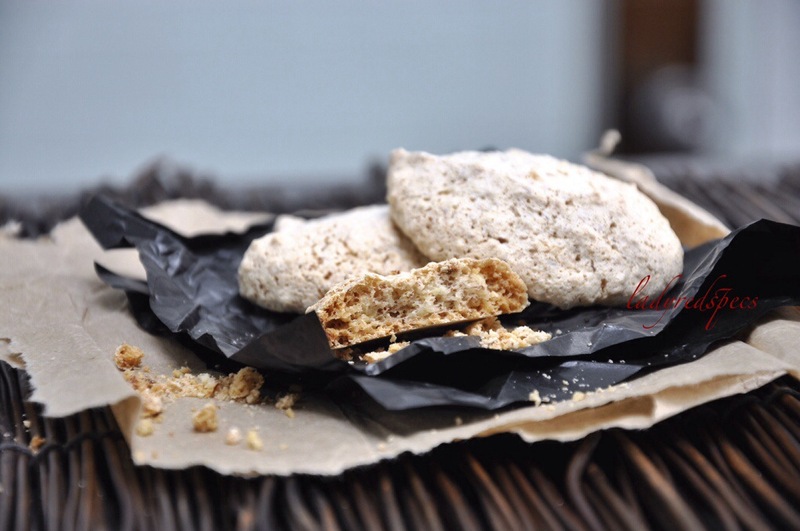 This entry was posted on October 17, 2013 by ladyredspecs in Baking, Cookies, sweet biscuits, Desserts, FODMAP diet, Food, Gluten Free, Gluten free baking, Sweet mouthfuls.